The Spiti Valley is a valley of enormous beauty and natural grandeur. From the high rising Himalayas, link to steep valleys, cialis and from the arid lands to beautiful lakes, pharm nature has been quite generous in bestowing it with scenic charm. 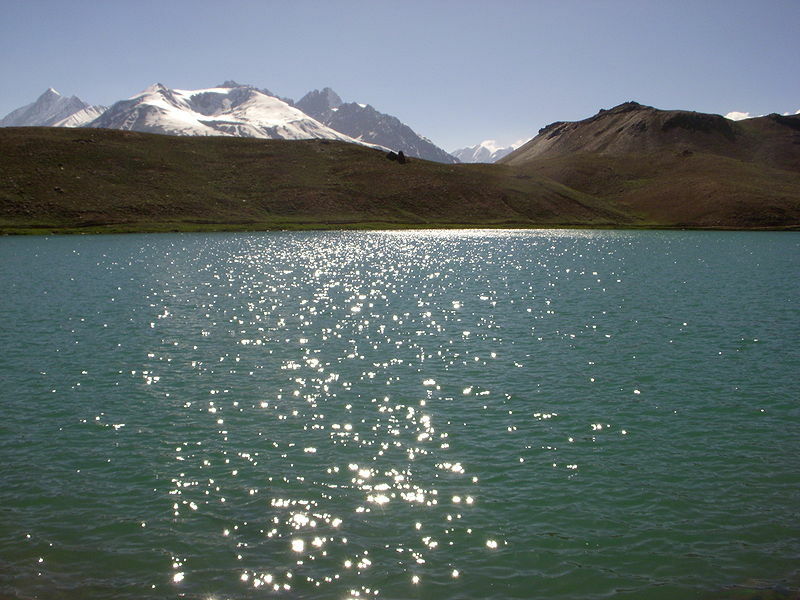 When travelling from Manali to Spiti, there are two main lakes that all travelers will pass by. One being the Suraj Tal Lake and the other being Chandra Taal Lake. At an elevation of 4300 meters above the median sea level, the Chandra Tal Lake is also famous as the ‘Lake of the Moon.’ The name comes from the crescent shape of the lake, which is easily noticeable from a distance. The lake is located at the source of the Chandra River, and is fed by the waters of the Chandra Glacier. The circumference of the lake is 2.5 km and the water is deep blue in color. It looks dashingly amazing in the backdrop of arid mountain ranges that surround it on all the sides. It’s a complete cold desert, in the midst of which lies a beautiful lake. The lake is not just known for its beauty, but is also considered pious by all Hindus. According to legend, it was at this lake from where God Indra’s Chariot picked up the eldest pandava, Yudhishtira, for his journey to the heavens up above. As a result, the lake became scared to the Hindus, who come here in reverence, and offer prayers en route to Spiti. 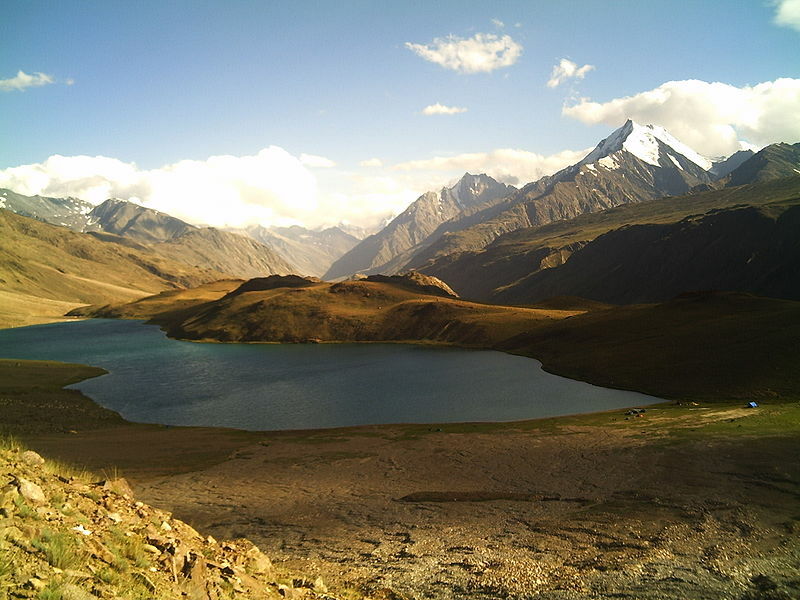 The lake is accessible from the Batal, as well as the Kunzum pass, which is only 6 km from here. Trekkers like to reach the lake on foot, while many others take the motorable road from Batal, which is 16 km from here. The roads can be in a mess before August because of the melting ice from the glaciers on the higher reaches. The roads become sloppy and filled smug, so travelling becomes quite difficult. The Kunzum pass comes on your way from Manali to Kaza and is quiet a frequented pass for it takes you to the Chandra Taal Lake. Travelers have often reiterated that the trek from Kunzum pass to the lake is much more scenic than the road from Batal. The lake lies in one of the coldest regions of the country, and is only accessible for a part of the year, from mid of May, to mid of October, after which it shuts down for the winter. While the surrounding mountain ranges are draped in a sheet of white snow, the lake also freezes completely. There are vast meadows spread across the banks of the lake. You’ll find plenty of colorful camp sites here. During the summer months many small dhabas sprout near the lake. Often Trekkers who wish to spend a day or two here bring their own tents, stoves, food, and kerosene when they start from Manali. There are three routes that travelers can take to reach the place. The most popular is the route from Manali to Batal on the way to Kaza. From Batal one can trek up to the lake. It will take about 4 to 5 hours. The second more entailing route is via Shimla. From Shimla one goes to Rampur, from where you start for Kalpa in Kinnaur district. From Kalpa one heads for Batal. The roads from the route are not too reliable, and it may take anywhere between 2 to 5 days to reach Batal. The last and the most exhausting of all routes is via the Baralachala Pass. From Manali travelers can take a bus or taxi till Baralachala, from where they start a trek downhill. 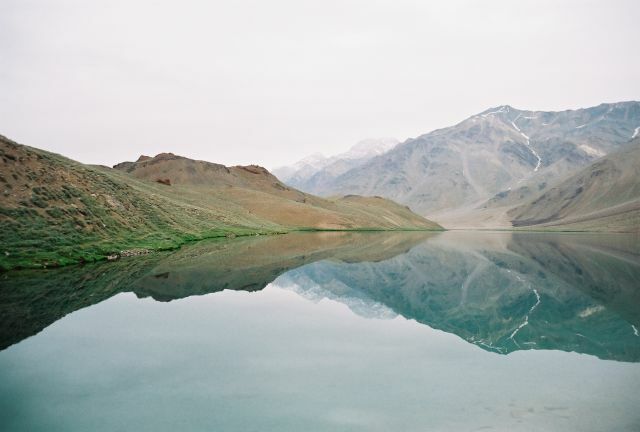 It may take anywhere between 4 to 5 days of trekking to finally reach the Chandra Taal Lake.